The Frederick National Laboratory for Cancer Research is producing another round of Zika vaccine for ongoing studies to determine the best delivery method and dosage. This will lay the groundwork for additional tests to see if the vaccine prevents infection among volunteers in the United States and Central and South America. David Lindsay, Ph.D., director of the national lab’s Vaccine Clinical Materials Program (VCMP), sponsored by the National Institute of Allergy and Infectious Diseases (NIAID), said the test vaccine will support NIAID-sponsored Phase II trials to prevent Zika infection among people who are naturally exposed to the virus. The Frederick National Lab has been manufacturing Zika vaccine candidates since 2016, when it responded to a request from NIAID to develop a ready-to-go drug product for a Phase I trial. Currently, NIAID is preparing Phase IIa and IIb trials on Zika prevention, which call for additional vials of the test vaccine. NIAID has been primarily responsible for developing the vaccine approach (plasmid DNA) and enlisted the national lab to produce the actual product for clinical testing. 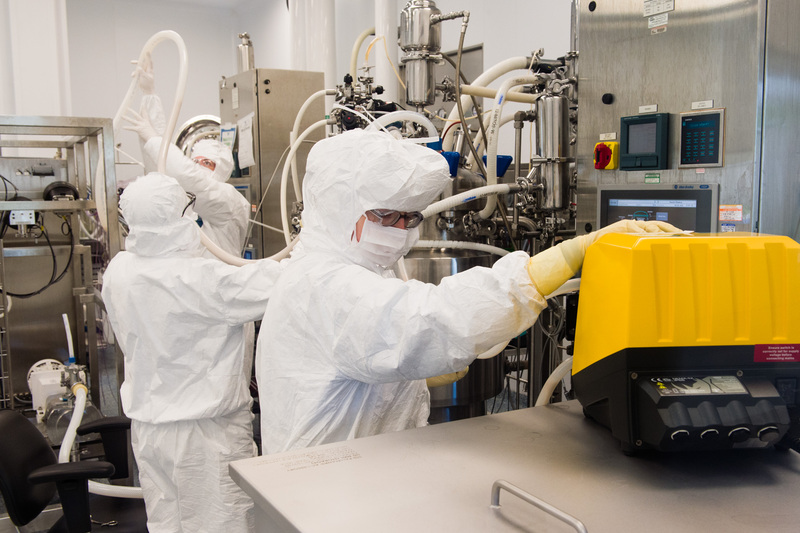 Since 2016, NIAID's Vaccine Research Center Pilot Plant, operated by the national lab's VCMP, has produced a total of 10,000 vaccine doses for the early clinical studies. “The manufacture by the pilot plant leverages platform fermentation and purification technology developed at the pilot plant going back to facility start up in 2006,” Lindsay said. The Vaccine Research Center plans to continue the Phase I trial alongside the planned Phase II trials. The Phase I trial is already producing promising results. The vaccine has successfully triggered antibody responses against Zika. If the successes continue, Phases IIa and IIb—collaborative efforts between the Vaccine Research Center and the Frederick National Lab—should yield even more information about Zika prevention. Phase IIa, a short-term trial, will seek to improve the immune response by determining the most effective injection sites and dosages. Phase IIb will test the vaccine over time in areas with high Zika risk, including Brazil, Central America, and the southern United States. Its purpose is to evaluate the vaccine’s effectiveness in people who are naturally exposed to the disease. While the Vaccine Research Center hopes to conclude the trials by 2019, the VCMP plans to continue producing the investigational vaccine for as long as there is clinical demand for it.